Nationally, there are 18 million children who live with parents who emigrated from another country, of those, 88 percent are U.S. citizens. About 5 million children have a parent who is undocumented. These children are forgotten citizens. Many children have problems focusing in school and sleeping.They don’t want to interact with other people or talk to other people about what’s going on. It is easier for them to talk to me because they trust me with their problems. This is important not just for society, but for America’s future — to raise good kids, not kids with problems due to the fact that no one forms a connection with them. That is the part that breaks our heart, but we know that we have to be there for them and be strong. “We have to lift their spirits and tell them, ‘Everything will be OK, one day you’ll be reunited, one day you’ll have justice and everything will be resolved. Meanwhile, study hard in school to make your parents proud. Providing crucial assistance with the immediate needs of food and shelter is a small part of the advocacy that WE provide. 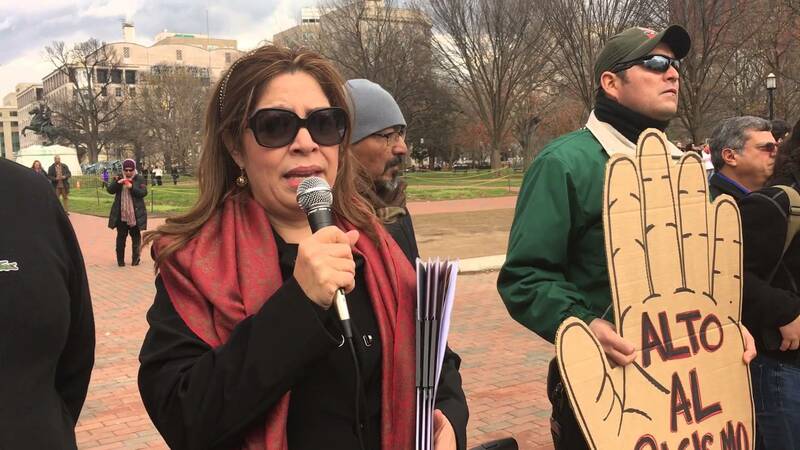 The Nora Sandigo Children Foundation has been “the voice” of immigrant families and their American born children by lobbying in local government and in Washington, D.C. for positive change. in the laws pertaining to immigrants and their families . Nora’s relentless support and advocacy for immigration reform for over 30 years continues to challenge government with a non-political, humanitarian agenda.